Today, a coachload of St Mirren fans have come down for this game such is the impact of Jack Ross. Lets hope both the St Mirren fans have a good day out and celebrate with the Sunderland fans. 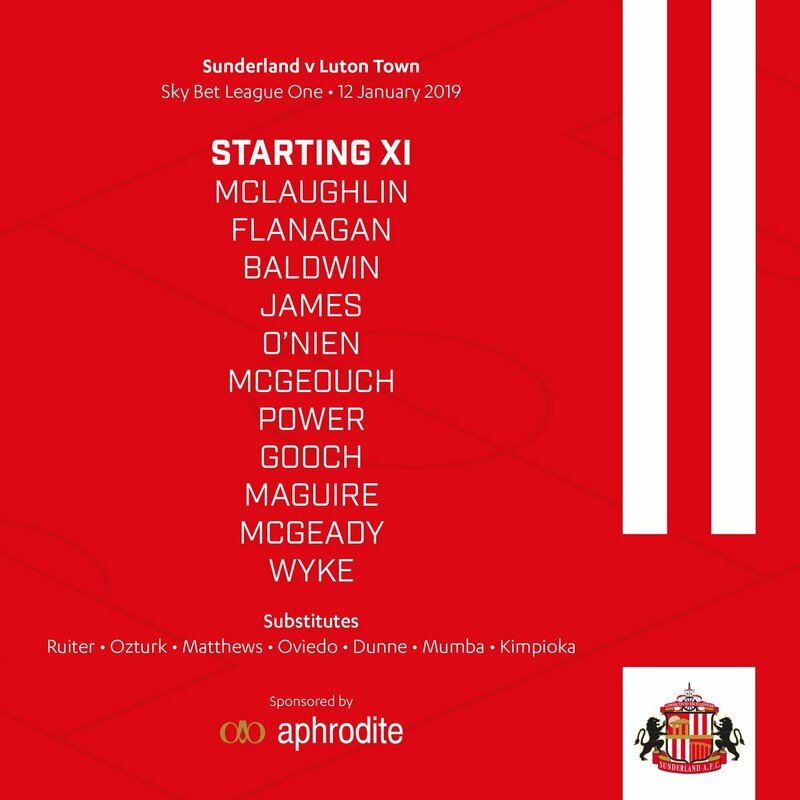 Maja is not well and so takes no part today and Chris Maguire takes his place. New loan signing Jimmy Dunne finds himself on the bench. Lee Cattermole had a 2 match suspension so this is the second one. A massive turn out today with over 35,000 expected. A good turn out today with load of noise coming from the Luton fans. Hopefully we can shut these up early. Luton have not been beat when they take the lead so it was important for us to get this early goal. There's the half time whistle. Luton are a useful side and we had to make two good saves. Another goal should see us win this game but we haven't managed too many goals recently in the league. I saw the first save when Luton should really have done better so well done McLaughlin for that.